Here at IndieStock we are using free fonts for our InDesign print templates and with every template that you download from us, you will get file with download links. Our customers often ask us how to install Google fonts, so we decided to make this little tutorial to help and guide you during installation process. Links will take you, most of the times, to Google Fonts page. 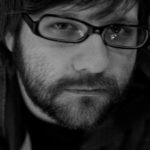 Now if you are stuck with what to do next, we will show you two different ways how to install Google fonts on your Windows or Mac computer. Most elegant way to install Google fonts is to use Skyfonts free app. After download, install Skyfonts app on your computer. 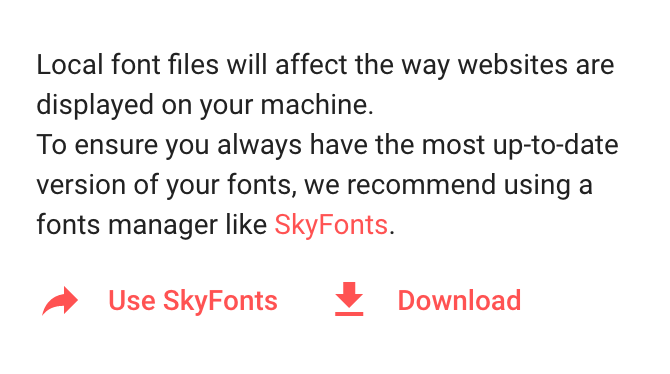 You will not need to create Skyfont account but if you want to use app on different computers, it is good idea to create one, because that way all your fonts will be synced automatically across devices. Now you are ready for more creative part: font choosing. To do so, go to Accounts section or Settings (and next to it you will see tab Accounts). There will be Google Fonts listed under Your linked services. Click on tab Google Fonts and then choose Browse Google Fonts and you will be directed to Fonts.com page with pop up window where you can browse available Google fonts. Now, you can browse them by name or directly typing name of font. When you find font that you like just click on the button Skyfonts and then button Add. Usually, if you prefer some font you will want to install whole family. 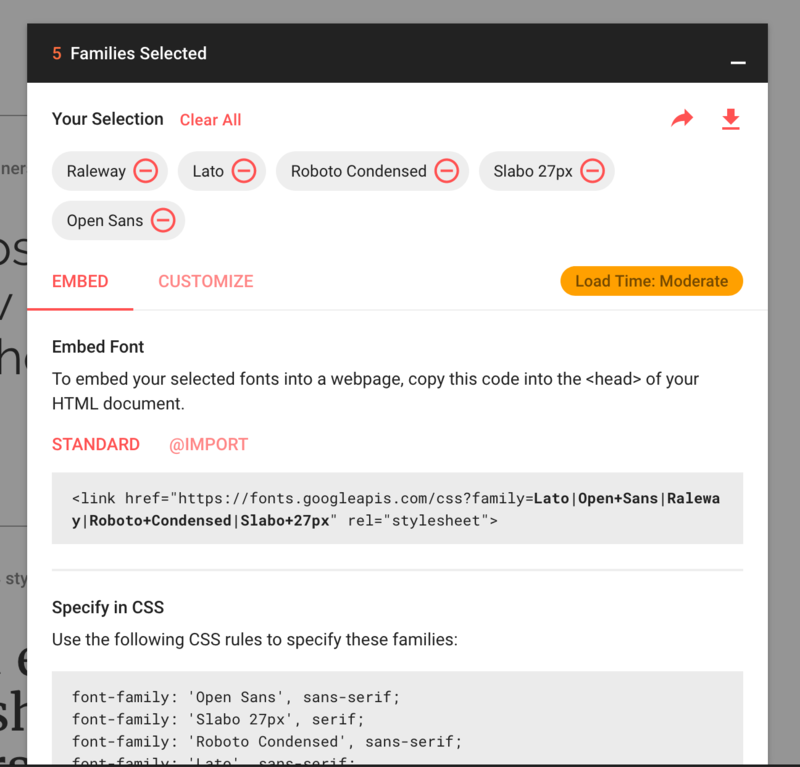 For that, just check box next to Add entire family, and when you click Add button whole chosen font family will be added and installed on your device. 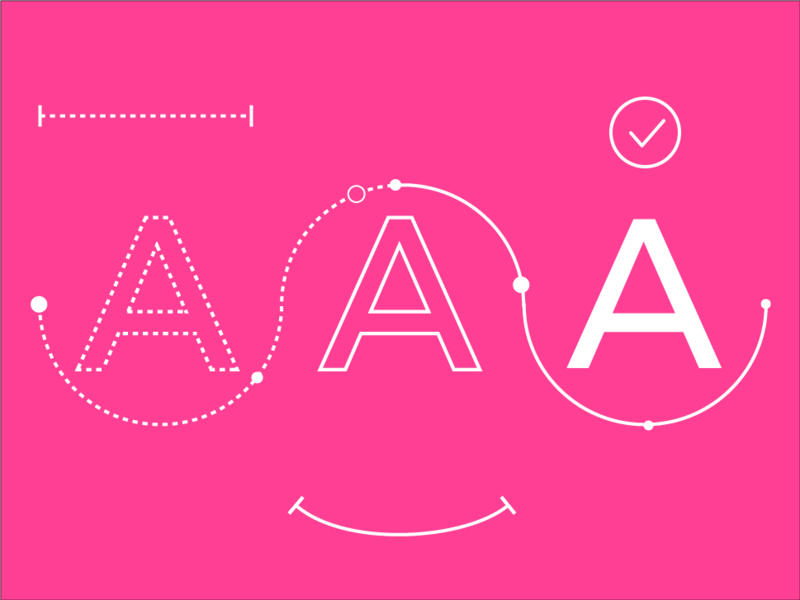 And you are good to go and try freshly installed Google fonts in your designs or projects. Using Skyfonts is super convenient when you know which font want to install and just search for them. Only thing that we are missing in Skyfonts app is possibility to better explore and preview fonts. 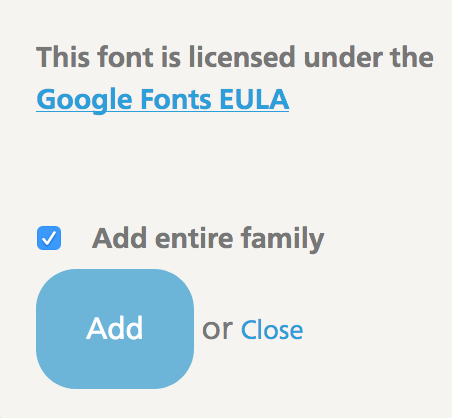 With ever expanding list of new fonts on Google fonts service, it is hard to follow what is new and cool. But if you know what font you want to install, than this is one of fastest ways to make it happen in seconds. Of course, one of the best strengths of app is that with Skyfonts account you can easily sync fonts across devices. Also, if you have subscription for MyFonts, fonts.com, Monotype or Linotype services, than this app makes your life even more easier and you can focus on creative parts of design instead hunting around fonts and manually installing them. Other way, more traditional, is to manually install Google fonts. To do that go to Google Fonts page. There you can browse and preview fonts. When you like some font, just click on the red circle with white + icon on it. When you add fonts to your selection they will appear at bottom of the page. Once you finish with your selection process you click on Your selection bar (as shown above) and you will get more options. Now hover with mouse/pointer over download icon (red arrow that points down) and click on Download link. After few seconds, your fonts will start downloading in .ZIP file. Now navigate to downloaded ZIP package and unzip it. Inside you will find your fonts and you can install them now. For Windows users, installation continues by selecting font or more fonts and then use right click. Menu will appear and choose Install from it. That’s it, fonts are now installed on your Windows machine. Other way to do this is to selected fonts from downloaded archive Copy and Paste them in Fonts folder. If you are Mac user, double click on fonts and Font Book will open, where you can preview font and click on Install. In the case that you want to install batch of fonts, select all of them and then right click. Menu will be shown and go to Open with > Font Book. In Font Book just click on Install and your fonts are ready for use. We hope this guide helped you to find out how to install Google fonts. Our way to do is will be by using Skyfonts app, but if you prefer to manually install google fonts, we showed you steps how to make this happen.